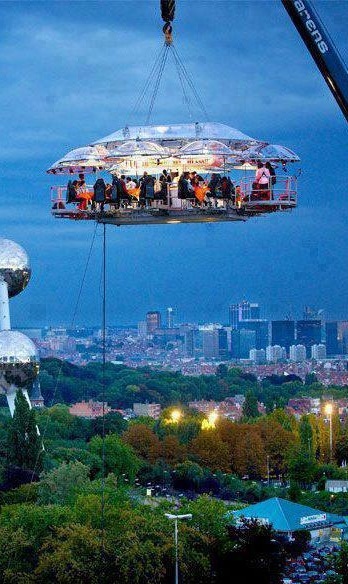 50 meters above ground dining event arranged by a professional event arranger of Benji Fun company. It provides seating for 22 complete with Chef, server, musician and you can select your own location without limitation. Guaranteed safety with the hoisting crane which can accommodate a whole band of musicians.